It is not just Bihar, which is anxiously waiting for the Assembly election results but the entire nation as it could shape up the politics of the day to come. Sanjay Kumar, Director of Centre for the Study of Developing Studies (CSDS) and a well known expert on Indian elections, explains the intricacies of Bihar polls when I met him. How do you see the Bihar elections? It is really interesting elections. I think, couple of months ago, NDA had advantage over Grand Alliance because people had anxieties about ‘Maha Gadbandhan’ whether it will work on the ground or not. The two parties (JDU and RJD), which came together to form the alliance with Congress, were fighting each other for the past 15 years. Also, at the ground level, the core supporters of the two parties, RJD and JDU, were always at logger heads at villages and block level. There were anxieties, question marks about whether this alliance would stay together or not. Finally, they jelled together. We kept hearing that arithmetic was on their side but not the chemistry. But I think, finally, not only arithmetic but even the chemistry was working in their favour. The credit doesn’t go to RJD or JDU, Nitish or Lalu. I think the credit goes more to BJP because during the campaign, I think, BJP made some mistakes or many mistakes, I would say, which actually resulted in consolidation of the OBCs. It resulted in two big OBC castes, which had been at logger heads – Yadavs and Kurmis – coming together. Then there was Mohan Bhagwat’s statement on reservation. I think there was a lot of fear among the OBCs. It helped in them coming together. Second, I think, this sidelining of the local leadership by BJP. 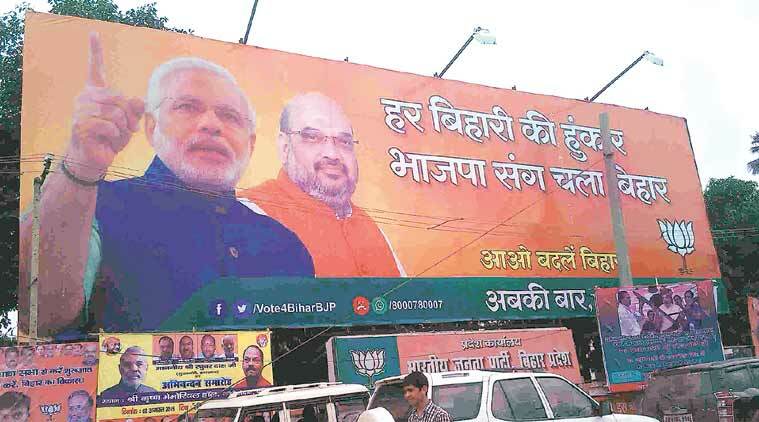 When the campaign started it was all Modi, Amit Shah all over Bihar. Nitish and his team actually took advantage of that and turned it as a ‘Bihari vs Bahari (Outsider)’. So that turned down well in favour of ‘Maha Gadbandhan’ supporters. They said, for ruling the country, yes we have voted for Modi. But now for a government in state, we actually don’t want Modi. We want a local person to actually lead the government. That’s why I am saying that the credit of bringing ‘Maha Gadbandhan’ really into the contest and now may be ahead in the contest, goes more to BJP and their campaign strategy rather than Nitish and Lalu. Nitish and Lalu did not do great things in last couple of months that would have attracted more voters in their favour. But actually, the distraction for BJP and NDA because of Modi’s speeches, all kinds of states, appeared to have backfired. At this moment, we don’t know the results, but it seems the BJP is on the back foot. Will it be a one-sided contest like it was in Delhi Assembly elections? I doubt. At this moment, Grand Alliance is ahead. I don’t see them sweeping the elections the way AAP swept the polls in Delhi. BJP still seems to be in the contest. It will not be a very close election but it certainly not be a very one-sided election. Is there a possibility of a hung assembly? I would say almost negligible. There are too many parties contesting but they are aligned on two axis. It is like a Kerala situation now. Hung assembly is too impossible. When one talks about Bihar politics, caste is the first thing that comes to one’s mind. But this time, initially we saw caste versus development campaign but now it is back to caste again. It is an overstatement that Bihar election is only about castes and elections in other states are not about caste. Caste is a reality in our day to day life and the way caste influences our day to day affairs, it affects the political behaviour of the voter. I am not saying caste does not play any important role in Bihar politics. Caste plays an important role in almost all states. Yes, three-four months ago, BJP tried to go to elections with a slogan of development. They did not utter anything about caste. They did not want to play the caste card, they wanted to play the development card. You look at the speeches of Modi and some other leaders 2-3 months ago. Nitish and Lalu were playing the caste card because if they ever hope to win elections, they thought they can win the elections only by consolidation of OBC castes. So they kept playing this caste card, Backward vs Forward Caste. In this sense, they said this is the time of Mandal 2 in reference to the consolidation of OBC castes. Initially, BJP did not want to play caste card because it realised that anyway the upper castes are not going to vote for Nitish and Lalu and upper caste votes will go to BJP on its own whether they will play it up or not. But when they saw things slipping from their hands, especially after the statement of Mohan Bhagwat on reservation, BJP realised that only with lone support of upper castes it would be almost impossible to win. They had hoped that Dalits would vote for them because two tall Dalit leaders of Bihar are their allies Ramvilas Paswan and Jiten Manjhi. But after this statement about reservation, I think, even among Dalits, there was anxiety. They were enjoying benefits of reservation since independence and if BJP wins, what will happen? Will this party take away reservation benefits? So they started having some anxieties. Sensing this anxiety among OBCs and Dalits, BJP also started playing caste card. They desperately wanted the lower OBCs to vote for them. They were not hoping to get votes from Yadavs and Kurmis because Yadavs and Kurmis were sharply polarised in favour of Maha Gadbandhan, the reason being Lalu comes from Yadav community and Nitish a Kurmi. BJP was hoping that they would actually tilt the voters belong to the lower OBCs, who are a sizeable number in Bihar. They are roughly about 25-30 per cent. So BJP also started playing the caste card and they evoked and they tried to tell voters again and again that Prime Minister Modi belongs to lower OBC caste. So we have a leader, this is the first time that a lower OBC caste has become PM, they said. They tried to appease, they tried to invoke a sense of pride among lower OBCs so that they would try and mobilise them. Finally, you look at the nature of the campaign during last two-three weeks and kind of statements being given the top leaders of the BJP. So caste is on the forefront of this election more than what we saw in 2010 and 2014. Because 2010 and 2014 elections, these were the elections, I am not saying people did not vote on caste lines, but beyond caste lines people voted for the party. In 2014, Modi was able to get votes cutting across castes. So, caste is still there. Caste has been reinforced. It was there. It was reinforced. The caste identies, in terms of caste identity used as tool for political mobilisation, has been reinforced. Lalu has been succesful in conveying to people this is Mandal 2. This has gone well among common voters. This word has actually helped Lalu in mobilising the OBCs. Did lack of projection of state level leaders affected BJP prospects? The BJP had this difficulty right from the beginning. In an ideal situation, they should have projected a Chief Ministerial candidate. But they could not do it because there were a large number of claimants. There are 4-5 leaders who all thought that if the party comes to power, they have the natural claim to become the Chief Minister. All these state leaders who are aspiring to be Chief Ministers or who think to be the next Chief Minister if the party comes to power, they belong to different castes. One is a Brahmin, another is a Bhumihar, OBC etc. Projecting any one for these 4-5 leaders would have upset the local equations and BJP feared that they may not work together. So fearing that, BJP decided not to project any one as the leader and face the elections in the name of Modi. Also, if you project someone as CM from BJP, the fear was that the person may not be a match to the charismatic figure of Nitish at this moment. People are not questioning the work of Nitish. It is very difficult to think of an upper caste to vote for Nitish at this moment, I think there would be upper caste voters who would vote for BJP but if you probe and ask questions about Nitish, I don’t think they would be very aggressive or upfront saying that he did not do any work. They would say he did work but they would have some riders. BJP was facing this difficulty. First, if they project someone as the leader, that may not keep the local party leaders together, there will be differences and they might start working secretly against the party. The second fear was that if you project someone as the leader, will he be a good match to the popularity of Nitish. Keeping these two considerations in mind, I think, BJP decided not to project any one as the leader and they decided to go into elections with Modi’s face. What would be the fate of Ramvilas Paswan, Jiten Manjhi and Upendra Kushwaha who are in NDA alliance? Paswan was an ally of BJP even during Lok Sabha polls. Actually, he benefitted because of being in NDA. Look at their performance in the Lok Sabha elections. In this election also, there were three situations. Paswan going alone, Paswan aligning with Maha Gadbandhan or Paswan going with NDA. If Paswan is contesting independently, it will be very difficult for his party to win large number of seats. Going by the past record, they actually remained with BJP and I think, they would be much better by going with NDA compared to if they have contested independently. Certainly, things would have been very different if they were with Maha Gadbandhan. But at this point, they could not have even thought of going with Maha Gadbandhan because Paswan is a Union Minister in central Cabinet. So there could be only two scenario – whether you remain in NDA or you contest independently. 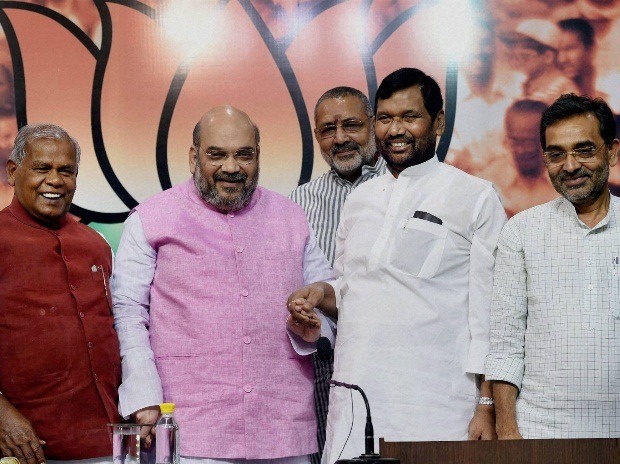 It is wise for Paswan to be with NDA rather than contesting elections separately. See the two leaders, Manjhi or Paswan, whether they win or not, whether they win large number of seats or not, the two will remain as Dalit leaders of Bihar. So this election is not going to decide on the long term future of these leaders. It might decide their short term future. If suppose, in a scenario Manjhi does not manage to win large number of seats – they are contesting about 23 seats and if they end up 4-5 seats – his clout within BJP allies would reduce. You would recollect when the seat sharing talks were going on, Manjhi was putting pressure on BJP to get more and more seats and BJP was conceding. BJP actually conceded a lot of ground. Also, conceded few tickets for leaders of Manjhi’s party thought they will be contesting in BJP’s symbol. So if Manjhi doesn’t manage to win sizeable number of seats, his clout within BJP would diminish. Same with Paswan also. But both are going to stay in the game for long. If his party would not win sizeable numbers, Kushwaha will be in a more difficult position than Manjhi and Paswan. Because Paswan and Manjhi are seen as Dalit leaders. Kushwaha’s stature is not even at par with Paswan or Manjhi. Do you see a change in mode of campaign? Certainly. If you see the initial campaigns of Modi, he tried to talk of development like what does the youth of Bihar needs. Look at the campaign of the last two weeks. Nothing on development, nothing on performance of government. Surprising thing is that people are not talking about the performance of the government, what has not been done, what party is promising to do if it comes to power. It is all personal attacks. So the campaign has touched kind of very low level. You would accept lose talk, lose campaign by small leaders but we do not expect this from national level leaders. One would be expecting them to talk about policies, programmes, failures. If you talk about the failure of government, it is alright. But this discourse is missing in this campaign now and it is only personal attacks from Modi on one side and Nitish and Lalu on the other side. It has turned into a personality contest? It is a personality contest. Right from the beginning, it has been a contest between Modi and Nitish. Even in Delhi, it was a contest between Arvind Kejriwal and Modi. And all the time, the campaign was like personal attacks rather than policy issues and achievements. Certain regions have preferences for certain political formations. 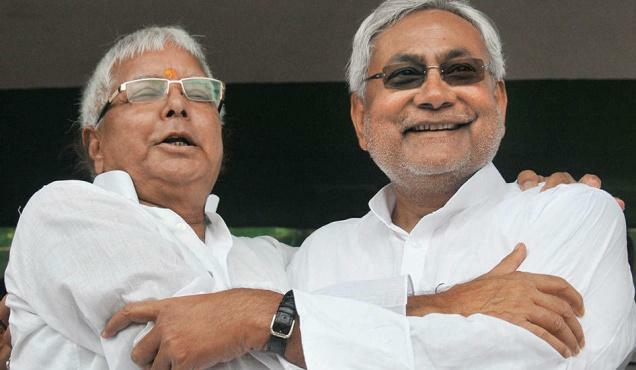 This time in Bihar, the view is that there is no such preference. No specific region is aligning with any particular alliance. When we talk about politics in India, we say politics in India is not one. Kerala votes differently when compared to Karnataka or Tamil Nadu though they are all bordering states. West Bengal votes very different compared to Bihar. But if we move beyond and move inside the state, there are regional patterns. If we look at Kerala, three different regions of Kerala vote very differently. If we look at Assam, parts of Assam votes very differently compared to other parts of the state. If you look at Jammu and Kashmir, it looks like three states voting within Jammu and Kashmir with Jammu voting differently, Valley voting differently and Ladhak voting differently. We do see some patterns within Bihar in the five regions in Bihar. The voting patterns of different regions, political strength of different parties in different regions are not that sharp, as sharp as we see in Assam or JK, except for the Seemanchal region, which is bordering West Bengal that has sizeable Muslim population, where RJD and JDU would get huge support in that region. But we don’t see entirely very very different voting patterns in the state. We don’t see very distinct voting pattern or distinct political support for any party in any particular region. It is not that sharp. We have always been talking about muscle and money power in elections. Elections in Bihar used to be violent in 1990s. But if you look at the last few elections – twice in 2005, 2010 and 2014 – we hardly see incidents of booth capturing etc. I am not saying that people with tainted image are not getting elected. They are still contesting elections, they manage to win. But the kind of poll-related violence which we used to see in Bihar in 1990s is not present now. At least you do not see it with your own eyes on the polling day. No booth capturing, no violence, nobody killed, nobody being beaten up. The credit goes to Election Commission. They have been able to hold the elections peacefully. Deployment of forces is much better compared to the past. All kinds of measures by EC have resulted into reducing election related violence. But that’s not an indication that people with tainted image are not contesting. If you go by the ADR data etc, 20-25 per cent MLAs in the last Assembly has some criminal records. Some cases may be serious, some may be small cases. But again this is not a story unique to Bihar. It is the case cutting across states. The difference would be in the degree. We can’t say politics in state A, B, C or D is very clean or you don’t see any criminal contesting election there. About money power, I don’t think there is any state where elections were money power plays an important role. One has to look at in a comparative sense. Do candidates spend more money in Bihar than other states? I think Indian elections had been able to overcome the problem of electoral violence but this role of money power in elections is a big issue right now. I think we are struggling hard to find out ways, how to control money power in elections. This is not unique to Bihar. This is a problem which every state faces. Difference will only be in degree. Do you think the political landscape of Bihar will change with this election with BJP emerging from the shadows of a dominant party as in the past? More than the political landscape of Bihar, I think, it is going to have impact on national politics. See what happened after Lok Sabha elections is that BJP kept winning all elections and when they suffered a bad defeat in Delhi, critics said this is a signal that Modi’s magic is on the decline, BJP’s popularity is on the decline. The supporters or the sympathisers of BJP said it was an exception, AAP is a new kind of party, this is an urban setting and that’s why BJP got defeated. They refused to accept that BJP’s popularity was on the decline. So Bihar is seen as the real test whether Modi’s popularity is on the decline, BJP’s popularity is on the decline or do they still command support among the people. If BJP loses this election, which now seems most likely going by Amit Shah’s statement (If BJP loses, crackers will be burst in Pak), this view would gain momentum that their popularity is on the decline. I have never heard a leader accepting or giving this kind of statement saying by chance or by mistake we are defeated. That is a signal that BJP is losing. So if BJP loses Bihar, I think, this view would get momentum that Modi’s and BJP’s popularity is on the decline. More on Modi because this election is fought on like Modi vs Nitish like in Delhi. As soon as BJP loses elections, there would be pressure on Modi. I am not saying there will be pressure on Modi to quit. There would be some internal pressure. At this moment, hardly there are people within BJP who have the courage to criticise the leadership be it Modi or Amit Shah or a few others. If BJP loses elections in Bihar, the critics within BJP who are sitting on the edge at the moment would start raising their voice. Not much against Modi but definitely against the way his government is functioning, the centralising tendencies in decision making. The attack would not be direct on Modi but the attack would largely on the nature of the centralising nature of the functioning of party and the government. So the critics within the party would raise their voice and certainly would have an impact. On the other hand, opposition parties would get morale boosting because since BJP was winning all the elections after LS polls, there was a kind of shared feeling among parties that at this moment BJP is very popular and not possible to defeat them. So the momentum that BJP had gained would come to an end. I think BJP would face serious problems when they go for polls next year in Bengal or Assam. Suppose if BJP wins Bihar, then also it would have impact on national politics as Opposition will be truly demoralised. After so much of hype created and so much of coordination, if they lose, it will have a demoralising effect on opposition. Secondly, if the BJP wins, the strong core Hindutva element within the BJP and on the fringes would see it as an endorsement to whatever has been happening in the country in the last couple of months whether it is controversy over beef or various kinds of intolerant attitudes, behaviour of leaders in BJP. They would say, only small number of people are criticising but look at the verdict, people are endorsing it. I can see that kind of impact on national politics.